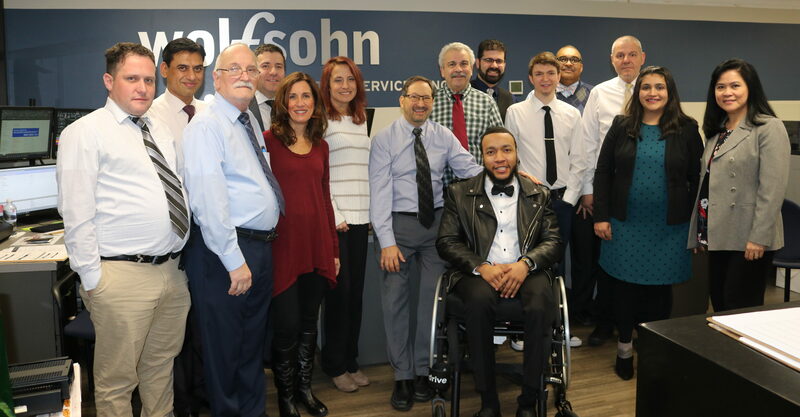 History - Wolfsohn Accounting and Advisory Services, Inc.Wolfsohn Accounting and Advisory Services, Inc.
Wolfsohn Financial Services Inc. has been in business for over 50 years; servicing the public in the Accounting/ Tax Preparation/ Financial Strategies field. As leaders in this market, Wolfsohn has fully computerized, professional offices serving multi-national clients and small business start-up ventures. Being a family-owned business, with hands on management, has enabled the firm to grow alongside our clients. Wolfsohn Financial Services Inc. is located in the New York/Long Island Metropolitan area. Our office originated on Pitkin Avenue in Brooklyn, moved to Richmond Hill, Queens and is now situated in Lynbrook, Long Island, New York. During Tax Season (January to April) the firm expands to three offices: Manhattan (New York), Lynbrook (Nassau County), and Hauppauge (Suffolk County). Each year, Wolfsohn prepares over 3,500 individual Tax Returns. Our client base is extremely diverse and encompasses every conceivable occupation. The firm has responded in kind with fully computerized Tax Returns and research tools. And our employees attend over 100 hours of educational seminars annually, in order to stay current with tax laws and trends. With the growth of our individual tax base, so has our corporate/fiduciary/estate/gift and payroll/sales tax filings. Wolfsohn views small business set up very seriously. The first steps are the most important. We have streamlined the process of setting up a new business, from start to finish, in less than one week. From bookkeeping systems to corporate structure, we hold our client’s hand throughout. In addition, due to the increased collection efforts of the IRS and localities, Wolfsohn has set up a Lein/Levy Abatement Service to represent clients in their hour of need. We have become experts in this field and taxing authorities have conceded to deal fairly with us. We have had an adventure, growing to serve our clients, won’t you join us?